I don’t have N1bn to give Goodluck Jonathan – Olisa Metuh tells court – Royal Times of Nigeria. 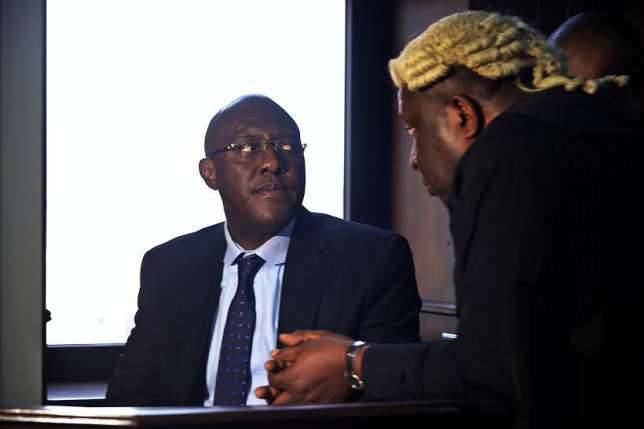 Former National Publicity Secretary of PDP, Olisa Metuh, says he does not have the N1 billion traveling expenses former president Goodluck Jonathan, has requested him to pay before he can appear as a witness in his ongoing trial at the Federal High Court, Abuja. Metuh is standing trial for collecting N400 million from the office of the former National Security Adviser NSA, Sambo Dasuki. Metuh had asked the court to summon the former president to appear in court to testify as one of his witnesses. Jonathan, in an application filed by his counsel, Mike Ozekhome, said he would only appear in court if Metuh paid N1 billion traveling expenses for himself and his security team. At the resumed hearing of the case today, Metuh through his lawyer, Emeka Etiaba, said he does not have N1bn to give the former president. In a five-page paragraph, Metuh asked that the summon on Jonathan be struck out by the court. The statement read,“This application is therefore not only speculative but premature and deserves to be struck out. With respect to demand for deposition of N1bn, the 1st defendant in his affidavit averred that he does not have such amount. We believe that such demand is punitive and meant to frustrate the 1st defendant’s attempt at obtaining an evidence that will assist him in the defense of the charge against him before this court. It is the view of the 1st defendant that from the first day that he was arrested, he made it clear that the release of the money was authorized by the former President and was released by the former NSA, Dasuki. My lord this application simply seeks to set aside the subpoena and to save this nation the embarrassment of having a man who means a lot to the entire country as a former President, to step into the dock to give evidence. “My lord it is unprecedented, and the embarrassment could have been aborted if the charge against the 1st defendant was not preferred after he had disclosed to the EFCC the source of the fund for which the defendants are standing trial. My lord in the circumstance, it is our position that this application be struck out”.